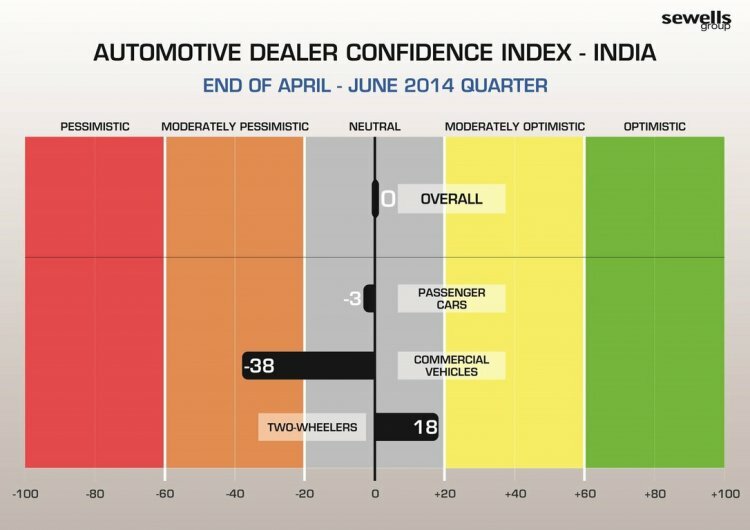 The quarterly dealership confidence report from consulting firm Sewells, the Sewells Group Automotive Dealer Confidence Index (ADCI) survey for India for the period between April and June 2014, has shown a significant shift compared to the previous quarter. Dealer sentiment has improved considerably over the previous quarter, says a quarterly Sewells report. As reported earlier, the January to March 2014 period saw dealerships expressing an overall negative sentiment, with the score standing at -20. The recent quarter, however, has a score of 0, which shows neutral sentiment. The swing represents a significant improvement in mood of Indian automotive dealers. The survey was conducted in the first week of July, with 126 dealers across 75 locations dealing with 21 brands responding. When individual segments are analysed, the news gets better. From a negative score of -40, dealers of passengers cars polled at a negative score of -3, showcasing a substantial jump. Dealers of two-wheelers also showed a slight improvement from 13 to 18 on the Sewells scale. 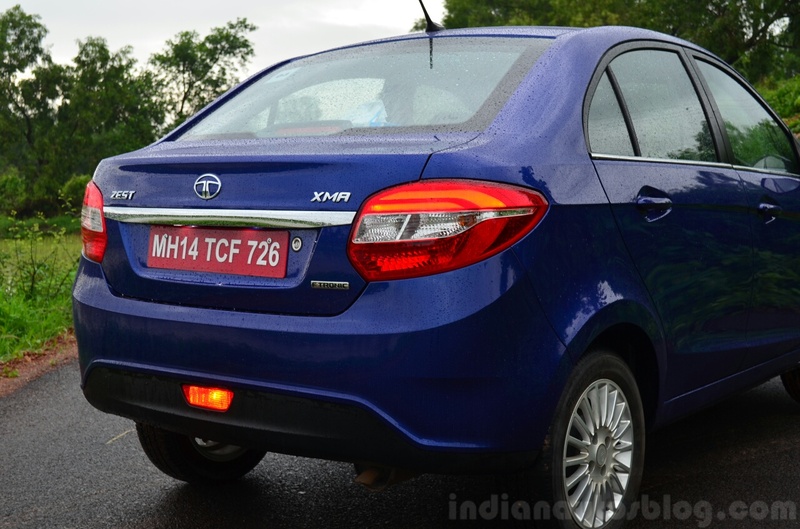 With launches like the Tata Zest and Hyundai i20 lined up over the next 3 months, dealership confidence is set to rise. Commercial vehicle dealers, however, continue to be pessimistic about the forecast for the industry. With the mining ban still in effect and infrastructure work still to kick into a higher gear, sales of commercial vehicles have been seeing very little growth, if any. From a previous negative score of -32, dealership confidence fell to -38.